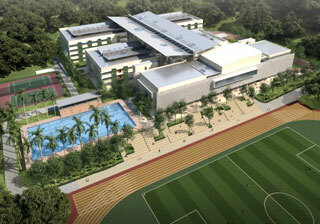 Excelsior International School is a purpose-built International School campus in the City of Knowledge in Bandar Seri Alam, part of the Eastern Corridor of Iskandar Malaysia in Johor. Academic, Sports and the Arts make up the school’s Three Pillars of Excellence in education and this is evident with its state-of-the-art facilities, such as advanced Information Technology as an educational tool, science and multimedia laboratories, specialist facilities for the arts and a vast range of sporting and recreational facilities. Excelsior has classes starting from Nursery at the age of 3 until High School grade 11 to 12. 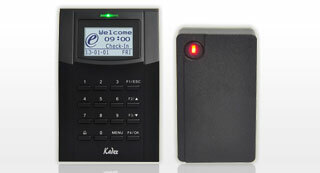 In order to monitor students and staff attendance, Excelsior International School deployed the combination of FingerTec’s most sought after card system, Kadex and, i-Kadex from the recommendation by FingerTec’s esteemed reseller, Flexi Team Computer. Kadex is a simple yet effective card system that is practical in tracking attendance/door access and is suitable to be used by large crowds such as schools as one Kadex can contain a massive 30,000 cards. Through the combination of Kadex and i-Kadex, the slave reader also gave the school an adequate in-out system through the use of card verification while also increasing the level of access control within the school. The school employed Mifare technology for these devices to reduce the burden of data from the master Kadex for the Mifare card could store data up to 64kb. A total of 50 Kadex terminals were installed at the school’s management office as well as all the classrooms located in the school. Each Kadex terminal is bundled with TCMS V2, a software which centralizes, stores and manages all data extracted from the Kadex terminals. Loaded with powerful features, TCMS V2 allows users to not only automate tracking of time attendance but also generate a variety of attendance reports such as Tardiness Report, Movement Analysis, Electronic Time Card and many more for further analysis. The data collected for Kadex readers can also be integrated with a third-party software such as payroll system for staff. Flexi Team Computer is one of FingerTec’s largest resellers in Malaysia, focusing on the Southern region of West Malaysia. Copyright © 2000-2014 FingerTec Worldwide Limited. All rights reserved.